In the past 20 years, technological advances in genetics have made it relatively easy to add molecular genetic data collection to conventional datasets. 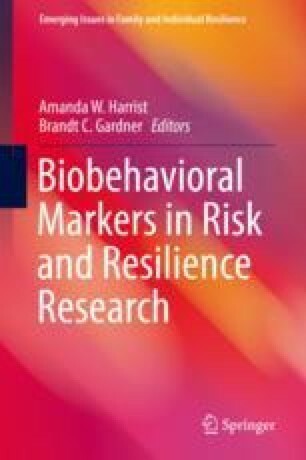 This ease creates valuable opportunities for behavioral scientists to consider how genetic factors might influence individuals’ sensitivity to environmental experiences, including those that put individuals at developmental risk. Successfully incorporating molecular genetic approaches into conventional behavioral science designs is not without challenges. To help behavioral scientists understand and address these challenges, this chapter reviews critical issues involved in the data collection and analyses of molecular genetic data in a GxE context. More specifically, this chapter provides a brief summary of basic principles of molecular genetics, an overview of how to check the quality of genetic data prior to analysis, a brief review of the history of candidate gene-by-environment (cGxE) research and its associated criticisms, a framework for evaluating the quality of individual cGxE studies, and an explanation of current approaches used to combine multiple genetic variants to advance GxE research. We aim to provide information that will function as a starting point for behavioral scientists considering adding GxE approaches to their own research area.